Crazy Pet Behavior? Consult Our Veterinarians Today! Like humans, animals also have underlying behavior issues. A sudden behavior change can be the outcome of age, environment, diet, depression, social life or any other thing. But, in most of the cases stress becomes the reason for weird pet behavior. Apart from mental conditions, some physical ailments causing pain or discomfort also lead to behavior problems. It is advised to the pet owners to ensure that they spend sufficient time with their pets. It keeps you vigilant about the physical and mental condition of your pet while helping them overcome stress or any other internal health problem. Rectify the physiological problems as per accepted veterinary protocols. Implement reliable behavior modification approach suiting your pet’s needs. Diagnose any potential physical ailment which could be leading to behavioral issues and address it. In order to reach the root-cause of behavior issue, we try to extract as much information as possible from the pet owners about pet’s daily routine, diet, and how they deal with them. This helps us in developing the diagnosis and treatment strategies for your pet. Explain follow-up instructions depending on your pet’s needs. 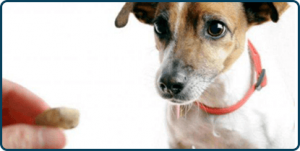 Demonstrate crucial behavior modification methods suitable for your pet. Once the counseling is done, the pet owners are provided a detailed summary of the entire counseling session. The summary includes all the crucial points that are observed by our vets and the potential reasons for such behavior along with an effective treatment plan. Our vets provide a comprehensive consultation for several complex behavior issues. Our experienced vets know how to deal with some undesirable or weird behaviors such as digging, unwanted barking, aggression, spraying, house soiling and more. We, at Westheights Veterinary Hospital, hold relevant experience and the right skills to rectify and effectively address the pet behavior issues. Call us NOW to book an appointment with our veterinarians in Kitchener.